Dreamy creams, gilded fixtures and luxe touches make this English cottage home a ladylike haven. 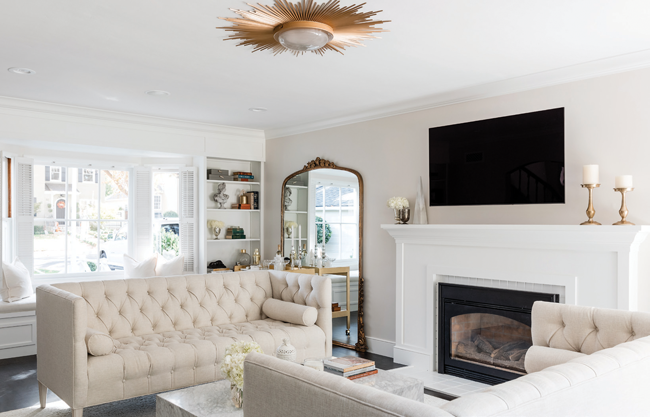 She has raised two accomplished daughters, runs her own CPR training business and hosts parties with the greatest of ease, but when it came to remodeling her home, Elizabeth Hughes enlisted the help of another queen bee: Katrina Stumbos. While chesterfield sofas, a Dutch door and detailed millwork underscore the house’s cottage style, lovely wallpapers, glass doorknobs and mosaic tiles give a womanly air to every room. Truly a home fit for three queens. In the master bedroom, Stumbos used true whites, nonyellow creams and pinks to counterbalance the yellow tones in the wallpaper. The “forgiving” pattern allows Hughes to change up her bedding as she wishes. Hughes’ favorite part of her new living room: the oversized brass mirror from Anthropologie, which sets a beautiful backdrop for the gilded bar cart. 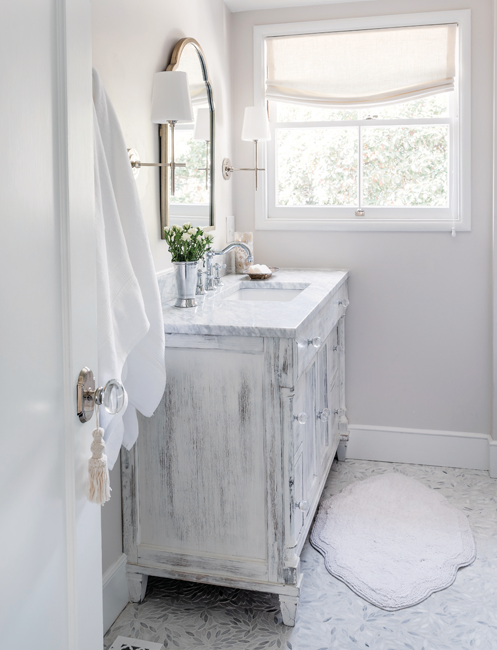 A marble floral mosaic floor and a whitewashed vanity gave this bathroom a major upgrade. 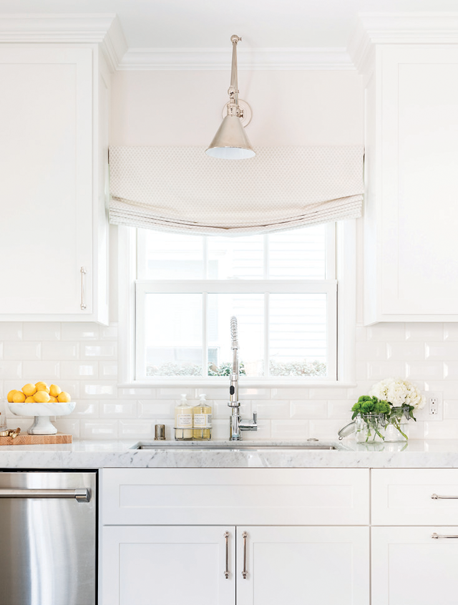 “We’ve seen subway tile a million times, but this is the type of home that we should be seeing it in,” says Stumbos.